This leather bohemian style choker necklace is perfect for an outdoor wedding or event. 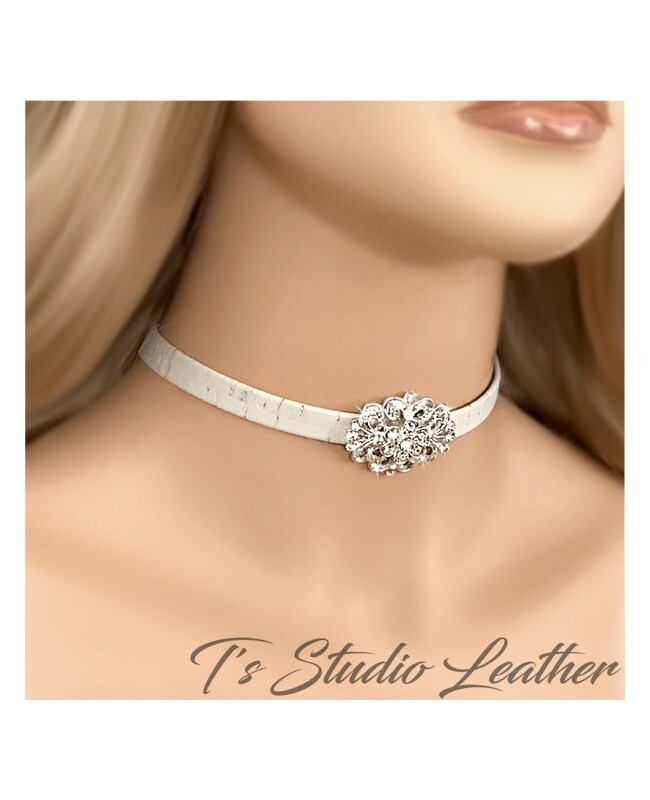 Made with ivory cork leather that has an antiqued weathered look, it is adorned with a crystal rhinestone flower center. It is finished with a silver lobster clasp, and extender chain, so the length is adjustable. Matching earrings and bracelet sold separately.